Sales of new homes rose in March 2011, and the inventory of available properties hit its lowest point in almost 55 years, according to the U.S. Commerce Department. New home sales increased to 11.1 percent of the seasonally adjusted 300,000 unit rate—which is also up from the anticipated pace of 280,000 units. The number of available new homes dropped to 183,000 units in March, the lowest inventory since August 1967. Resales and foreclosures continue to make up the majority of sales (more than 90 percent), but more and more homebuyers are seeing the advantage of purchasing a new home in the current market. With interest rates still low and the price of new homes still competitive, the advantages of new homes in terms of minimal upkeep, greater resale value, increased energy efficiency, and other factors are weighing on the minds of homebuyers—and tipping the scales, if these figures are any indication. Certainly, the price of foreclosed homes and short sales appeal to buyers, but it’s important to note that this type of property often has hidden problems. Owners in financial distress ignore the upkeep that is necessary to maintain property value. As a result, the buyer needs to consider more than just the sale price. New homes are still competitively priced, while also offering the peace of mind of warranties, as well as the cost savings from energy efficient appliances and construction. If you’re ready to join the trend towards new home purchase, now is still an excellent time. Talk to us at Stylecraft Builders about your many options. Our homes and communities throughout the Bryan-College Station region in Texas offer a comfortable, affordable lifestyle in a thriving area. Check out our move-in-ready homes, take a virtual tour of Stylecraft Builders models or call us to arrange a personal tour. 5 tips to protect your credit score. There was a time, not so long ago, when a credit score of 720 would have been enough for you to be approved for the best mortgage rates. That’s history. In today’s economy, you need to post a score of at least 760 (out of a possible 850) to be considered for those desirable interest rates, for a conventional loan. Plus, the FHA loans are more lenient with credit scores. You can qualify for an FHA loan with a credit score of 640. It doesn’t take much to chip away at your credit score. Here are five tips to preserve your creditworthiness. 1. Avoid making late payments. Even one late payment, whether it’s a week or a month, can cost you up to 110 points on your credit. Pay attention to due dates and, whenever possible, pay early. 2. Keep your balance low. While you need to use your credit to build a history that lenders can view, don’t overdo it. Your total debt should amount to no more than 30 percent of your income. Carrying a big balance will send up a red flag to a potential lender. Pay down your balances and you should see a boost in your score. 3. Keep your credit cards, even if you’re not using them. You might think you’re doing the smart thing by reducing the number of credit cards you’re carrying, but cancelling cards changes your debt to utilization ratio. If, for example, you have three credit cards and each has a $2,000 limit, that’s a total of $6,000 in available credit. Let’s say you are carrying an $800 balance on one card and zero on the others. Your debt to utilization ratio is 13.3 percent, and that’s a good number. But if you cancel those other two cards, you reduce your total available credit to $2,000 and your debt to utilization ratio soars to 40 percent. You’re better served to tuck those cards away and not use them rather than cancel the accounts. 4. Don’t open new credit lines. When you apply for a new line of credit, the company checks your credit report, and this inquiry automatically lowers your score a bit, maybe by five points. In addition, once you open the account, you could be sacrificing up to another 15 points until you prove yourself worthy by managing this credit wisely. Don’t collect credit cards; apply for what you need and avoid the temptation to accept more. 5. Don’t default on a loan. No one wants to default on a loan, but it happens. Home foreclosure could cost you 90 points and bankruptcy can take away as much as 250 points! If a default is unavoidable, start rebuilding your credit as soon as you can, by following the first four tips. Don’t let your dreams of home ownership be crushed by a low credit score. If you need advice, talk to us at Stylecraft Builders. We can help get you back on track! 1. A mortgage payment is an investment. Rent is an expense. Paying rent will give you no return. Your monthly mortgage is building equity in an investment. 2. Ownership has tax benefits. You still enjoy deductions for mortgage interest, property tax, and home improvements. 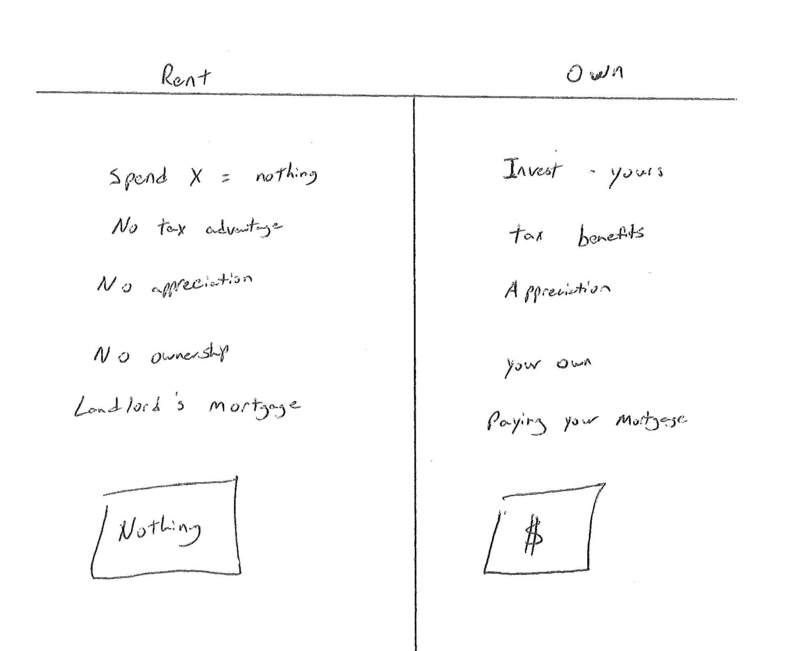 Renting provides none. 3. A home gains value. In spite of the current situation, property values will increase. A rental property only gains value for the landlord. Owning a home gives you the freedom to decorate, to landscape, and to live in your own space. A renter needs to ask for permission. Look at your lifestyle and consider your future goals. Home prices and interest rates make buying a home more affordable than ever. When you add in the other advantages, can you really afford not to buy a home right now? Talk to us at Stylecraft Builders and we can help you find the right home and make it as easy as possible to make renting a thing of the past.